Office chairs are important pieces of office furniture, considering they are what your employees sit on all day and where your clients rest during meetings. To furnish your office in the Tampa, Florida, area with comfortable and functional seating, turn to Reusable Office Interiors. 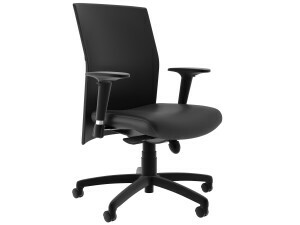 We carry a wide selection of gently used and stylish office chairs that are sure to impress. Plus, we can also help you no matter the size of the job. Whether you need a single chair or are in need of furnishings for an entire building, we can provide you with the seating your workspace requires. There is no job that is too small or too big for us. We can expertly serve you, no matter if you need to furnish your office space with cubicles/workstations, desk/desk sets, training tables, conference room furniture, executive furniture, or pieces for your reception/lounge area. To learn more about the office chairs and other types of furniture we offer to business owners in the Tampa, FL, area, contact Reusable Office Interiors today. Our specialists are available to answer any questions you have and will be glad to tell you more about the outstanding products and services we offer.